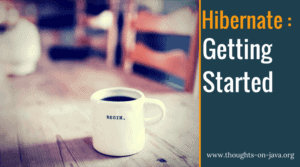 Persistence with JPA and Hibernate is one of the main topics in my daily work and on this blog. This page provides an overview of the articles I wrote about this topic and you should expect more of them in the future. JPA 2.1 – 12 features every developer should know. Testing with Aliens: How to test a JPA type converter with Arquillian.